Royal Air Force (RAF) fighter aircraft will deploy to Romania in May as part of NATO’s continued militarization of Eastern Europe. 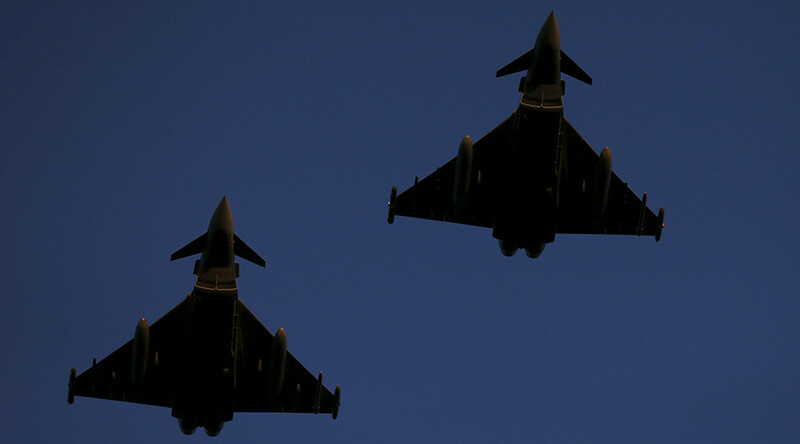 The initiative will see four Typhoons from RAF Coningsby, Lincolnshire, deploy to Mihail Kogalniceanu Airbase in Romania until September. They will carry out patrols of the Black Sea area as part of the Southern Air Policing mission conducted under NATO command. The UK is the first ally to provide aircraft for the task. “The UK is stepping up its support for NATO’s collective defense from the north to the south of the alliance,” said Defense Secretary Michael Fallon. “With this deployment, RAF planes will be ready to secure NATO airspace and provide reassurance to our allies in the Black Sea region,” he added. The announcement follows the deployment of hundreds of British troops to Estonia to function as a ‘tripwire’ against what UK commanders have called Russian aggression. The NATO battle group in Estonia will be stationed at Tapa. The UK will contribute the bulk of multinational force in Estonia, sending in a total of 800 soldiers.France will post 300 soldiers to Estonia – to be replaced by the Danes in 2018. 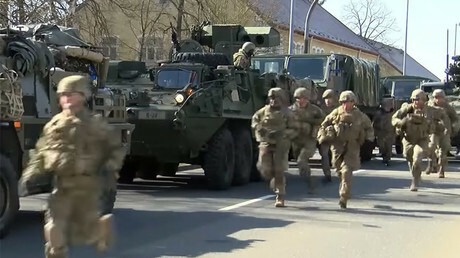 All troops will act in conjunction with Estonia’s 1st Infantry Brigade.The deployment is designed to counter an “increasingly assertive Russia,” Fallon said on the first 130 troops’ departure. “NATO is stepping up its commitment to collective defense,” Fallon said, according to Sky News.